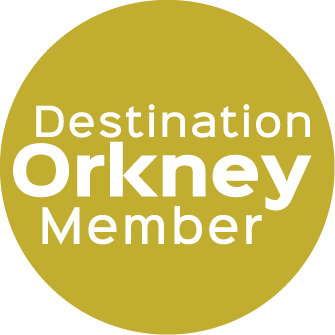 Quoy Cottages offer you the perfect holiday retreat in beautiful Orkney. Our cottages are an excellent base for anyone keen on bird watching, photography, fishing, cycling, boating or walking. 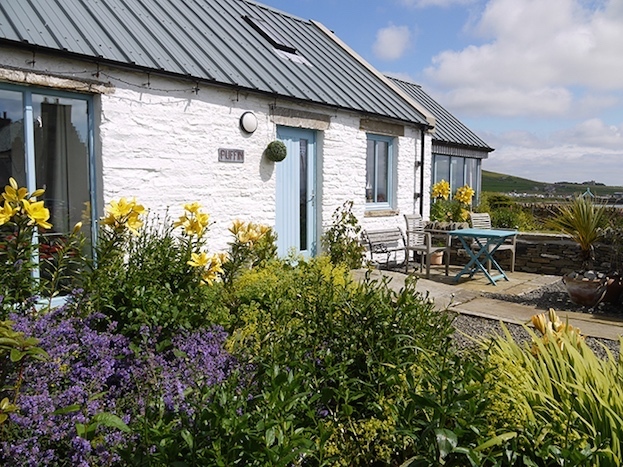 Our cottages, The Old Granary Quoy and The Puffin Quoy, provide a beautiful location that will tempt you to sit in the tranquil gardens all day and enjoy the Orkney sun. 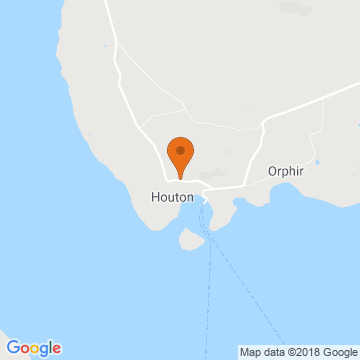 You can sit and look out to sea and watch the local fishing boats in the Bay of Houton, or perhaps choose to wander round the stunning gardens of the main house. 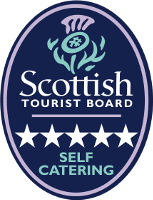 Quoy Cottages provide luxury self catering accommodation all year round. When the weather is inclement you can cosy up in the deep comfortable sofas by a roaring log burning fire and perhaps do a little reading or research into the events that occurred in the bay right in front of you during World War 1 and 2. Both cottages offer the very latest digital televisions, Wi Fi and Blue Ray players. Alternatively, you can relax in our whirl pool baths that have lighting to suit your mood. Or, perhaps you would prefer to order a meal cooked by Caroline using locally sourced produce and knowledge derived from Rosemary Shrager & Nick Nairn cooking schools. You can have it delivered directly to your cottage: all you have to do is pop the meal in the oven when you are ready to eat. 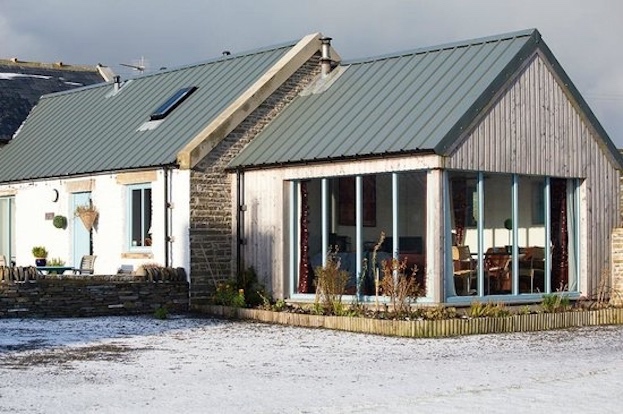 The Puffin Quoy is a luxury retreat perfect for a couple wanting to escape from everything and enjoy some peace and quiet in beautiful Orkney. The accommodation offers a large lounge with deep, comfy sofas, a log burning stove and fabulous sea views. There's a well equipped kitchen and dining area that leads into a kingsize bedroom with fantastic sea and garden views. The bedroom has an en-suite bathroom featuring a whirlpool bath with mood lighting. The Quoy of Houton and the Quoy's Cottages reached the finals of the 2014 Highlands and Islands Tourism Awards.